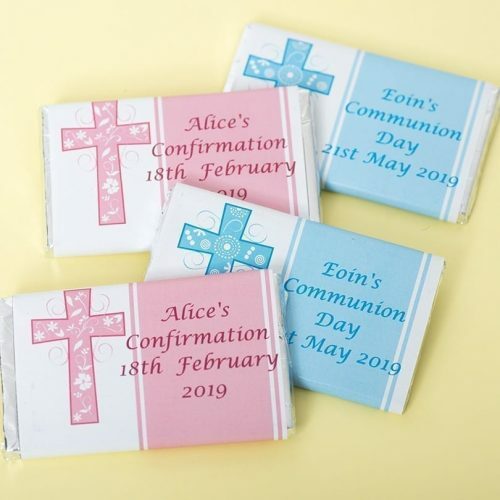 Personalised communion confirmation chocolate bars are perfect for communions, confirmations and christenings. These tasty chocolate bars are ideal for favours or for serving with tea and coffee and people love to go away with a small memory of the day. 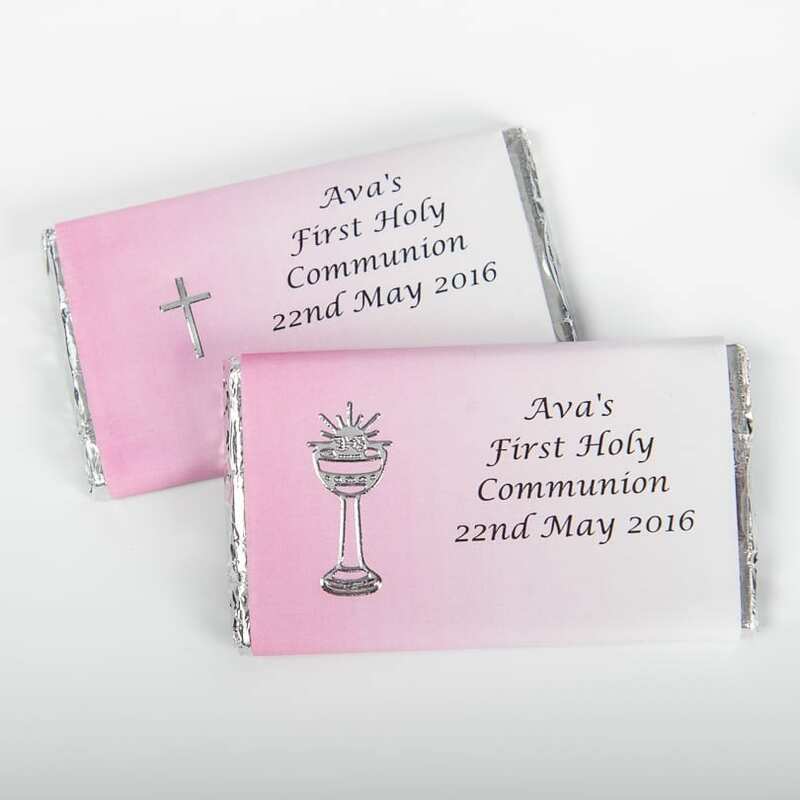 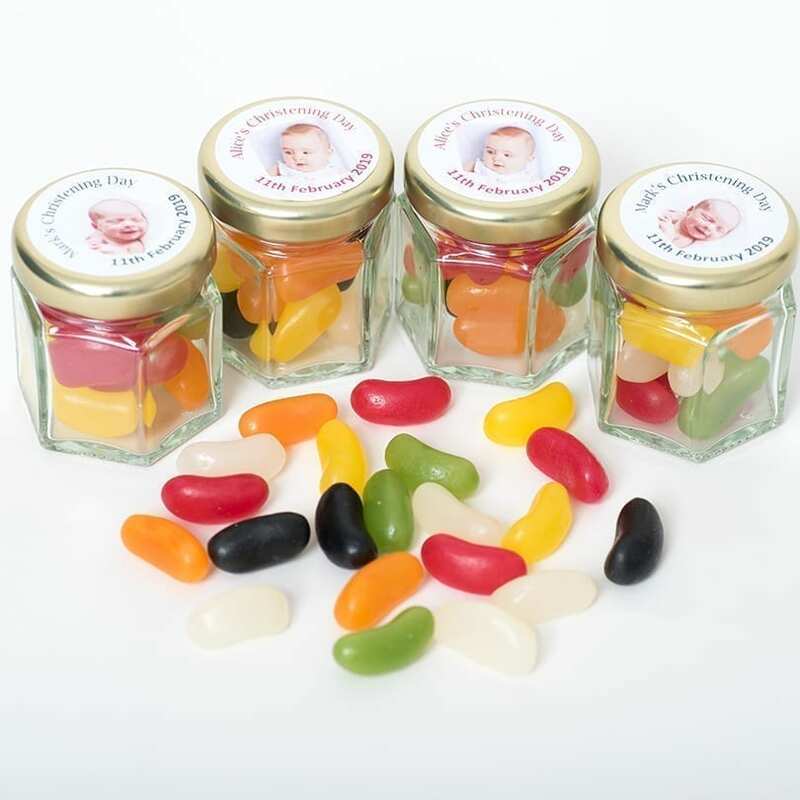 The wrapper can be personalised with details of the special person, as well as the date of the occasion. 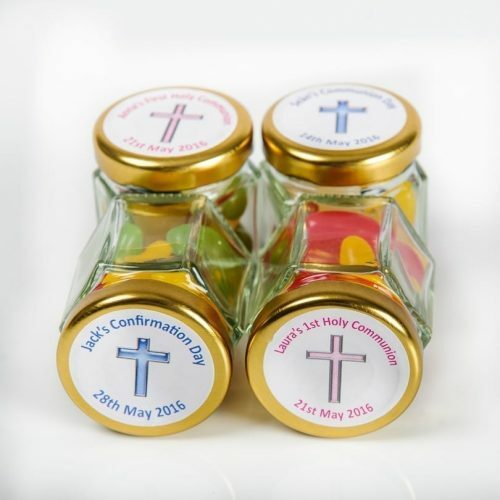 Choose the embellishment design of a silver chalice or silver cross. 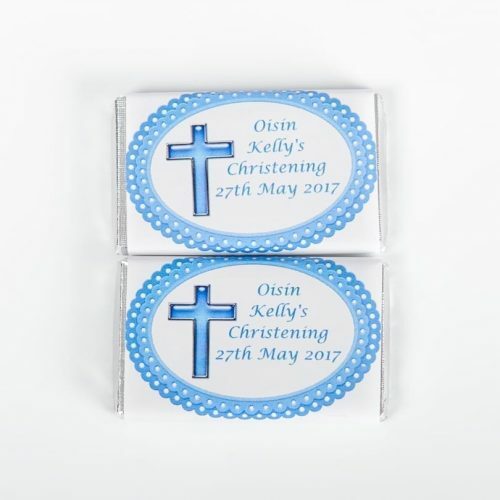 Available in a white, pink or blue wrapper.